Families that Fly Together: Thanks, Mom! Families that Fly Together: Thanks Mom! 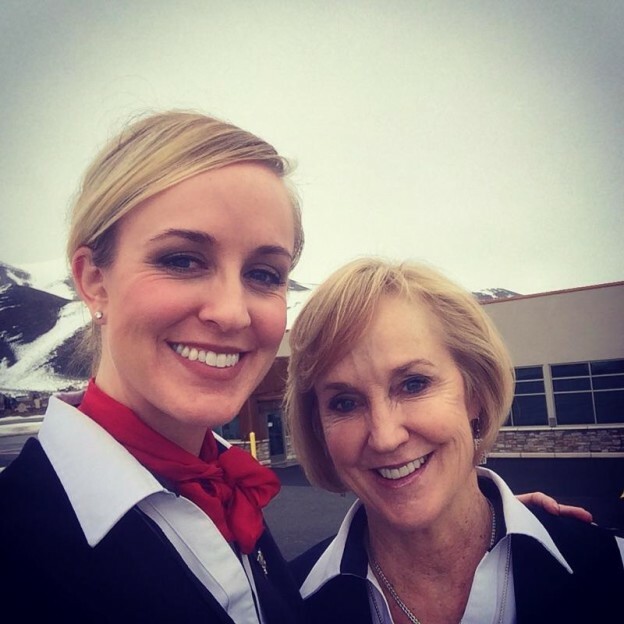 For some, being a flight attendant at SkyWest runs in the family! We tracked down just a few of our InFlight families to give them a chance to say “Thanks, Mom”. 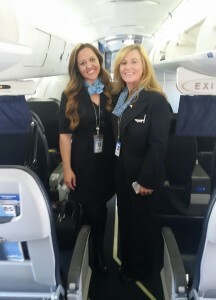 This last month, MSP based Flight Attendant Casey Buchanan was able to have a unique experience with her mother Maureen Buchanan – Flight Attendant, LAX when they flew their first trip together! Maureen started at SkyWest five years ago, and from the beginning she talked to Casey about joining the company. 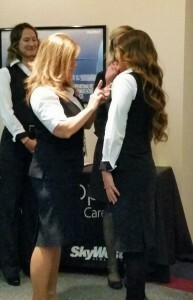 Maureen was able to pin on Casey’s wings this past September and as Casey explained, has been her rock during her first year as a flight attendant. One mother-daughter team that loves to fly together is Jessica Henline – director of InFlight training and her mom, Kaye Manrique – Flight Attendant, SLC. “When we fly together it’s like a mini-vacation!” Jessica said. “It’s so much fun! 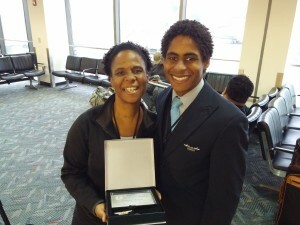 My mom is not only an amazing person and mother but she is the best flight attendant I have ever flown with! Kaye came to SkyWest in 1990 and has been a flight attendant (and held many positions in the InFlight department) for 26 years! And just a few days ago, Jennifer Wilson – Flight Attendant, LAX celebrated her fifth year with SkyWest and there to surprise her and present her with her five-year anniversary wings was her son Julian Jenkins, Manager of InFlight Services. While Julian and Jennifer haven’t had the chance to fly a trip together, they have traded planes with one another and enjoyed being able to meet up on breaks. Come join the SkyWest family! You can find information about SkyWest careers here.